“Low Calorie”, “Sugar-free”, or “Diet” soft drinks are formulated with artificial sweeteners such as Aspartame, Acesulfame K and Saccharin. These ingredients are more expensive than the sucrose sugar used in “original” formulations, however a small percentage of artificial sweetener can replace a high sugar content. A disadvantage is that they cannot replicate the viscosity and texture (properties known as “mouthfeel”) of sugar based formulations and thickening agents such as CMC are often added to compensate for this. 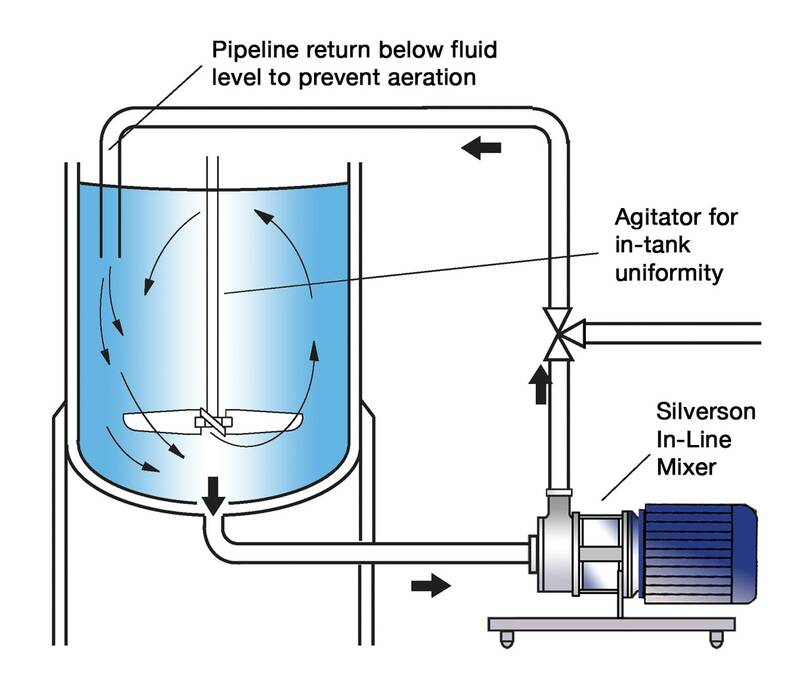 In small scale production, liquid sweetener may be used, simply requiring blending with the water. Alternatively powdered sweetener is dispersed along with other powdered ingredients on an individual batch basis. 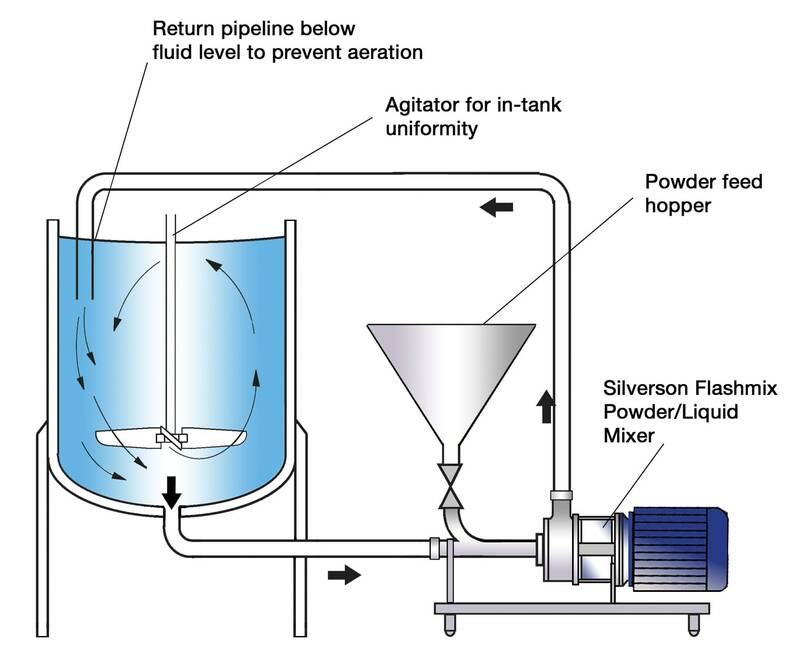 Larger scale operations typically make up a dispersion of sweetener in bulk which is held in a vessel before use, or blended on stream with the remaining ingredients. 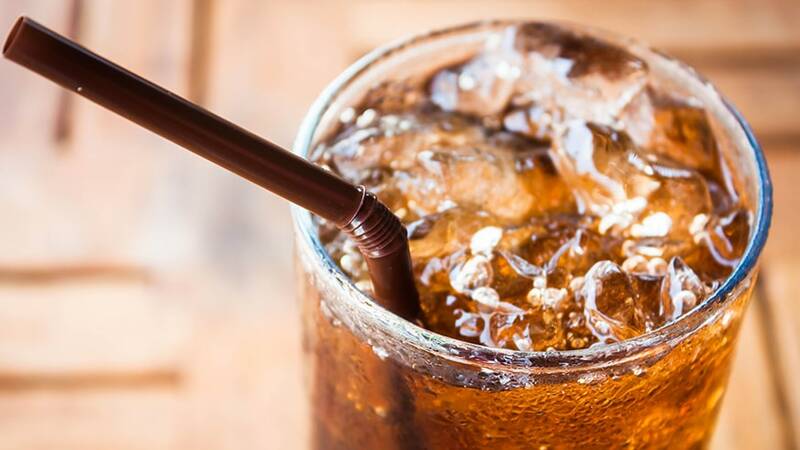 Some artificial sweeteners do not dissolve easily. Heating may be required to aid solubilising. Mixing equipment must be capable of rapidly incorporating the powders, which are very fine and have a tendency to float or “raft” on the surface of the base liquid. Even with heating, dissolving by simple agitation is a slow process. 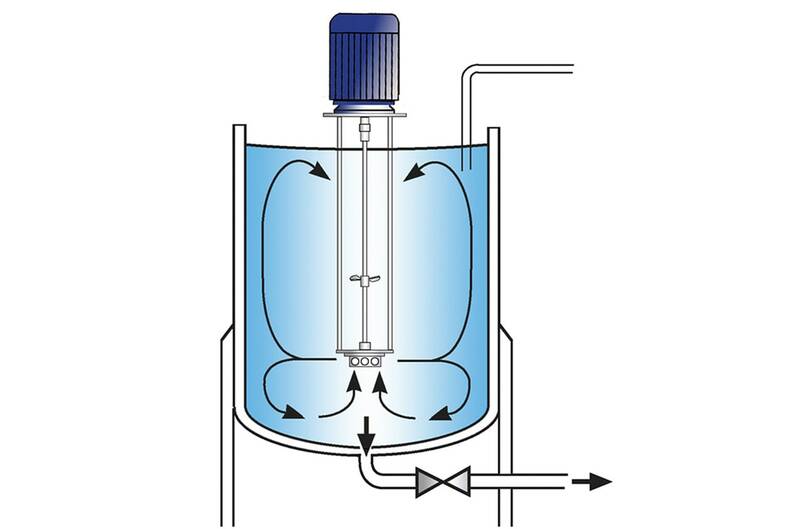 Heating of the mixture to aid solution is energy inefficient. The cooling process further adds to costs and process time. Wastage due to incomplete dissolving and build up of material on the vessel walls and parts of the agitator adds to costs. Dusting must be minimised to prevent waste and potential Health & Safety problems. The vessel is charged with liquid and the mixer is started. The high speed rotation of the rotor blades creates a powerful suction which draws the liquid and powdered ingredients into the workhead where they are rapidly mixed. The particles are reduced in the gap between the rotor and stator wall. The product is forced out of the stator and projected radially back into the body of the mix as fresh ingredients are drawn into the workhead. 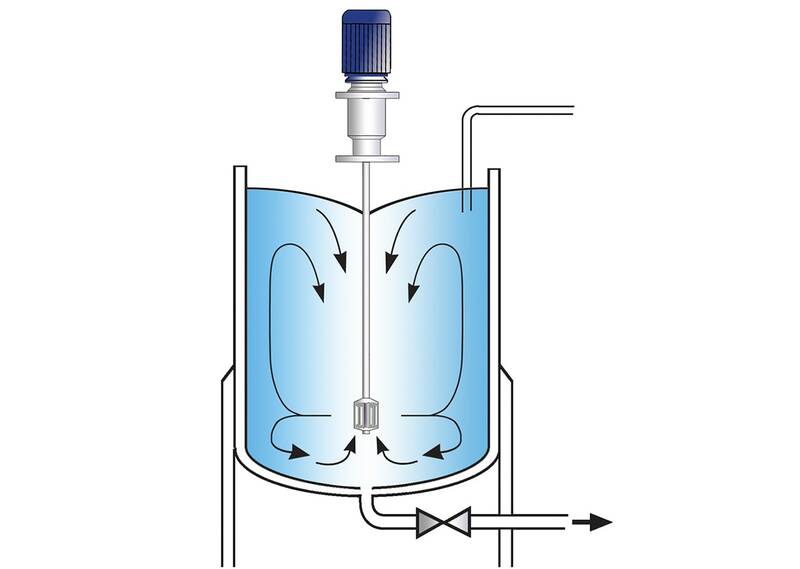 In a short mixing cycle all the material passes through the workhead, progressively reducing the particles size and exposing an increasing surface area to the surrounding liquid, accelerating the dissolving process. Sweeteners can be added along with other powdered ingredients - premixing is not necessary. Sweeteners will be wetted and other ingredients fully hydrated in one operation.